Does live casino play actual live? How do I know I’m not being scammed at a live casino? How is a live connection established? What are the minimum and maximum bets in Live Roulette and Live Blackjack? Where do I get the best live casino offer? What happens if the live dealer makes a mistake or the connection is disconnected? Which live casino has the best offer? Which live casino is the most professional and which one least? Another one-stop shop for Online Gaming Operators. Playtech is the world’s largest online gaming software supplier traded on the London Stock Exchange Main Market. With the focus at “on the London Stock Exchange“. Offering cutting-edge, value added solutions to the industry’s leading operators. Since Playtech’s inception in 1999, its approach has been centered on the continual development of best-of-breed gaming products and content. Furthermore its success is built upon strong partnerships with their licensees. *licensees include established online operators, sportsbooks and entertainment brands looking to upgrade or diversify their offering, including Betfair, bet365, William Hill, Paddy Power and Sky. Playtech was founded in 1999 in Tartu Estonia by entrepreneurs from the casino, software engineering and multimedia industries. Market analysis and product definition followed and in 2001 Playtech welcomed its first Casino licensee. Since then Playtech has grown by leaps and bounds adding more and more products to its portfolio including Live Casino, Bingo network, iPoker network, land-based offering, Videobet and Mobile Casino. The first European land-based casino to go online in 2002 was powered by Playtech. Since that time, the company has had a steady grow by adding more and more points to their list of accomplishments: such as a worldwide bingo network, tyhe live casino, poker network, Live TV product and sports betting platform. These days Playtech has offices all over the world and highly skilled specialists working to deliver first rate products and services, we have become a sure source of success for our clients. Mission: partnerships with gaming operators to gain insights on how to deliver the best technology in the industry. Creating, developing and maturing these partnerships is the key focus for Playtech’s team. Vision: content, CRM, marketing and cross-platform capabilities form the key pillars for a gaming operator, but it is their seamless integration which can deliver a truly successful operation. As the industry’ technology leader, Playtech understands both the complexity and flexibility that this integration demands, and have unparalleled scale and breadth of capability. This comes down to putting the technology solution central in managing their business and generating a comprehensive games portfolio which is available across all channels and platforms. This is supported by CRM and marketing tools. Playtech has the technology to provide a fully integrated cross-platform and end-to-end solution, with wide reach across online, land-based, TV, mobile, lottery and sports betting channels. So as a player you will have a great offer to choose from if a casino uses Playtech as their provider. 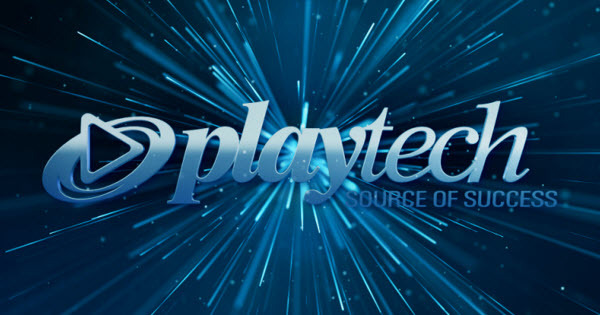 Playtech can provide services, training and development opportunities for a range of functions, including: internet marketing, customer support, fully-managed poker and bingo networks, sports betting trading room services, hosting and disaster recovery services, and payment processing and advisory services. EuroGrand & Playtech, a great combination. Play Now! With world-leading European and Asian sites, Playtech’s live dealer platform creates a very authentic live gaming experience. Doing so by top-of-the-line cameras broadcasting in HD quality, an absolute must these days when wanting to experience the real live casino experience. They combine this with very fast streaming and high up-time in the market. One thing that more and more providers are doing, is offering the availability of bespoke branding in a dedicated area and individual training establish the sense of trust and loyalty experienced in a real casino. So dealers and tables are given the look and feel of the casino you are playing in. It makes it a little more distinctive. All online casino classics, like blackjack, baccarat and roulette, are available alongside innovative new games like Unlimited Blackjack, Double Screen Roulette and the exclusive Casino Hold’em. These games can also be played in a separate VIP area – The Ruby Room – for active players placing higher bets. Just to up the excitment and possible winning payout. Furthermore the growing demand in thriving markets, dedicated tables have been introduced. This results in hosting native-speaking dealers for the United Kingdom, Italy, and Spain, to make players feel at home. Further customisation is possible increasing brand awareness and player loyalty by placing operators logo on the table, the dealer’s chips and cards. Your favourite online casino can become more and more recognizable. Players on the web, mobile devices, and tablets connect via one live table. Playtech offers all their operators exclusive access to a full suite of casino games for players on iPhones, iPads, and Android devices, transforming the capabilities of on-the-go gaming in all markets throughout Europe and Asia. So you can play your favourite game at your favourite casino anytime anywhere. Playtech offers over 500 of the most innovative and exhilarating casino, poker and sportsbook games. Over 50 new games are released every year, so that you as a player have access to a continually growing content library that includes slot, table and card, fixed odds games and more. 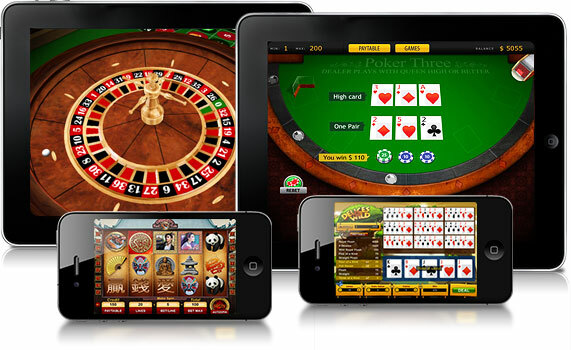 Playtech’s extensive product range includes Casino, Poker, Bingo, Live Games, Sports Betting and Mobile games. Whether as side games on the poker client, on the games tab of sports betting sites or embedded mini-games for bingo or live casino, the ability to seamlessly and immediately integrate new games ensures the ultimate gaming experience. And that is what makes it nice and fluent gameplay for you. Surprisingly or not, live dealer services have grown noticeably over the last few years. Since the live casinos, year after year their have been developments in the casinos, with the providers and with the live dealers. The Online gaming industry experts unanimously agree that live casinos will remain serious revenue streams for those who know how to play their cards right and ‘keep the ball roling’. However, running a live casino has its intricacies that are hidden from players, but remain an essential part of business for the operators. Every jurisdiction has its peculiar laws that often change. For instance, Spain, which is one of the recently opened online gaming jurisdictions, requires all the licensed operators to offer their live games from the actual land-based casinos located in Spain. Now Playtech offers live dealer games from this casino, broadcasting in high definition and hiring only native speaking dealers to ensure the most convenient and realistic experience. Being an online gaming expert, Playtech can provide from existing and new licensees with services that meet the requirements of their preferred jurisdiction and comply with the highest industry standards. Besides live casino there is so much more that Playtech offers and this software can be downloaded or played instantly in your browser via the casino (*often via a ‘download’ button at the casino’s website). As said, most Playtech casinos come with mobile casino capability, that enable you to play Playtech games via a mobile device anytime anywhere. £200 Welcome Bonus at 777 Casino!